Flying Machines are Flying High! The BBC Loves Flying Machines! The Music Magazine praises Munk’s masterpiece! Jazz Views Digs Flying Machines! 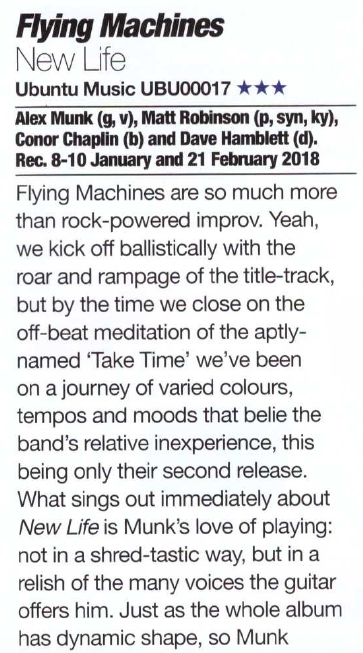 Prog Magazine Rocks for Flying Machines' 'New Life'! 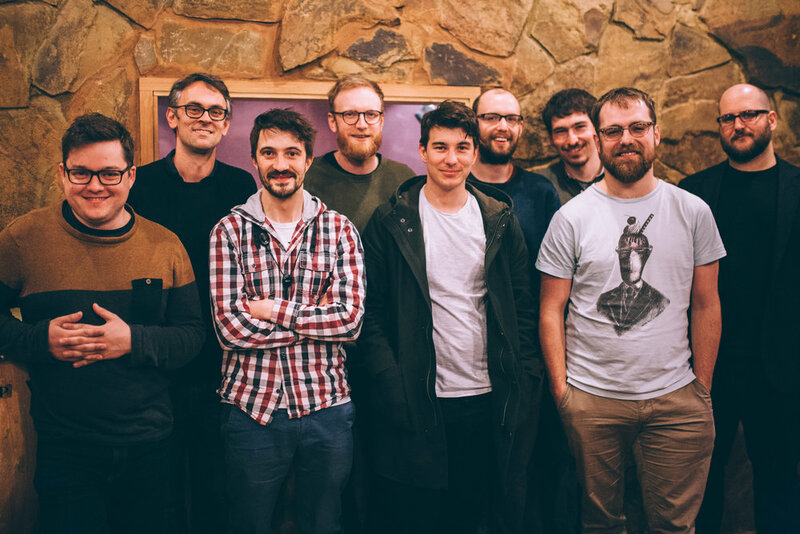 Flying Machines Takes Off in Europe! 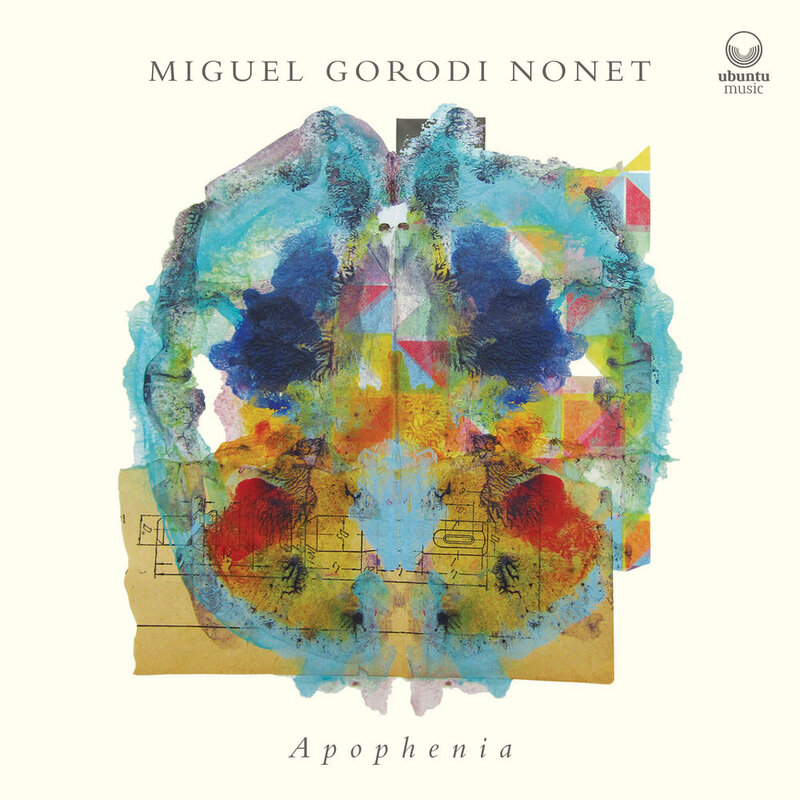 ‘New Life’ selected as on of the Top Jazz Album Releases in Europe! 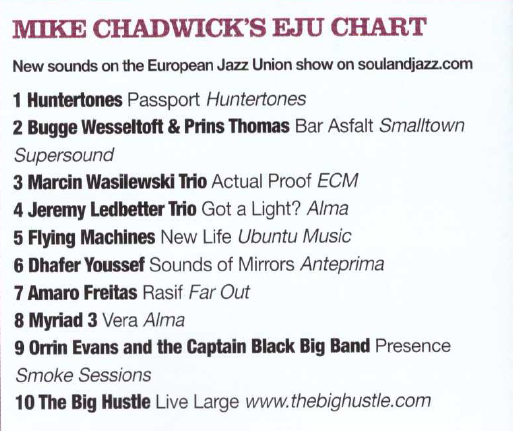 Jazzwise Magazine reviews the album and it appears in their charts.